It’s gardening season and I’m sharing some tips for how I am preparing the garden for the growing season. I hope they help your garden thrive too. 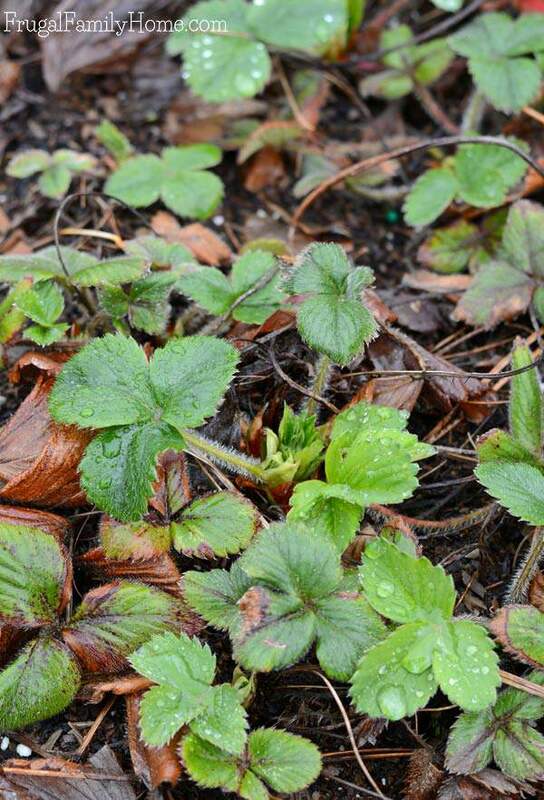 It’s that time of year, time to think about waking up the garden from its long winter sleep. There are always tasks to do when it comes to getting the garden ready for planting. 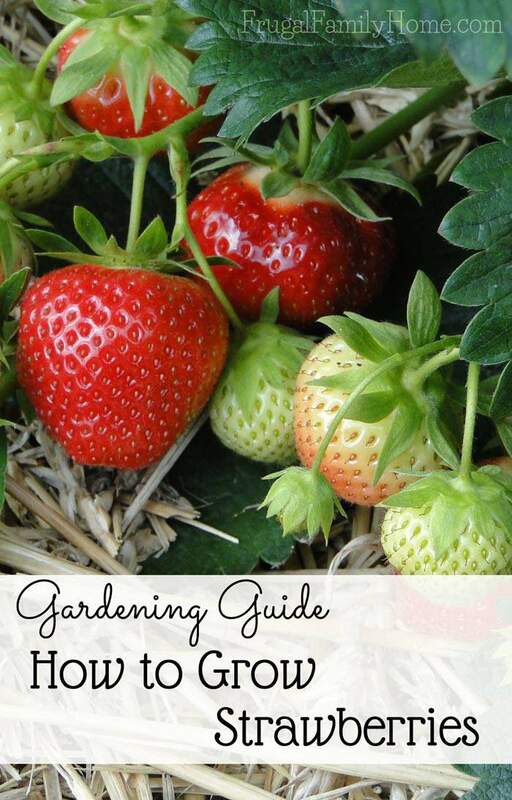 From deciding what you’ll be growing this year to preparing the garden for those new plants. It’s an exciting time of year for anyone who gardens. 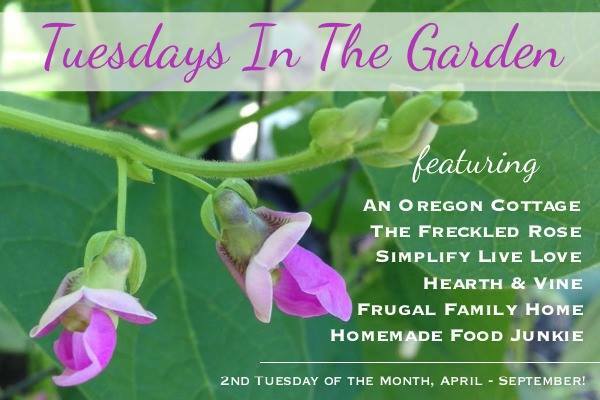 This gardening season I’m going to be working with a few other bloggers to bring you Tuesdays in the Garden. We will all be writing about a gardening topic the second Tuesday of each month through September. At the end of the Tuesday in the Garden posts, you’ll find links to what the other bloggers have shared that week too. 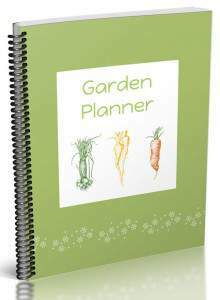 It will be like a directory of garden tips delivered each month. This week we are all introducing ourselves, our gardens and talking a little about preparing our gardens for the gardening season. I garden in my backyard, well really it’s the side yard because that is where we get the most sun. My backyard is actually all dense shade and doesn’t really grow anything well except hostas. But we do have lovely hostas. 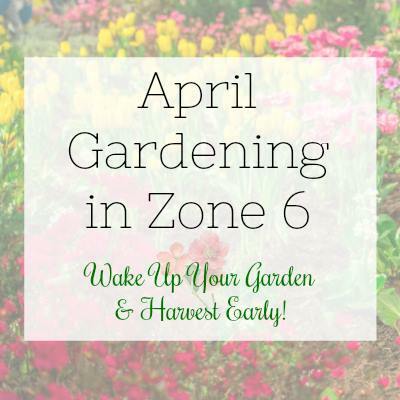 Our gardening zone is zone 8 and we have four raised beds I plant in. The soil is clay so planting in raised beds is a good option if your soil conditions are less than ideal. We grow raspberries, blueberries, rhubarb, strawberries and vegetables in our backyard garden, as well as a few herbs too. We live in the rainy part of Oregon, so growing hot weather plants can be a challenge, but in years past when we have a warm summer our tomatoes grew up over 5 feet tall. I’ve also had a bumper crop of baby bell peppers when I get them in early and hand pollinate them. It important to get your garden off to a good start by preparing the garden beds. This year I’m doing what I’ve found to work well in the past two years. My old way of preparing the garden beds would be this process. I would till my beds, add in compost and organic fertilizer then plant. But I was constantly fighting to get rid of clover. It was awful it kept multiplying everywhere. Then a couple of years ago I only tilled one of my raised beds. The rest I covered to kill off the weeds like my friend Jami does in her garden. She has shared doing this keeps her garden weed free so I gave it a try. And it worked. At the end of the growing season or in January when I get around to it. I cover my vegetable garden beds with black plastic and let them sit covered for a month or so. If I’m energetic I’ll weed the beds before I covered them. When I’m ready to plant, I uncover the beds. I add a layer of compost. I like to use mushroom compost but it is really fragrant so be forwarned. But it is a good fertilizer. Last year I only spent one hour all gardening season long weeding. That was it. I still have a few clovers here and there each year but it’s so much better. If you haven’t given this easy way to garden a try, I would whole heartily recommend it. 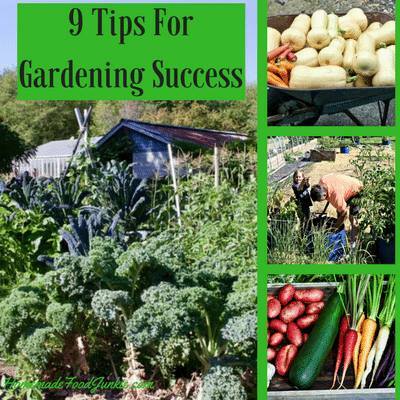 Click Here to Get Gardening Tips sent to Your Inbox! My strawberries are in their very own raised bed. I don’t cover them since they come back year to year. I just sprinkle mushroom compost on top of them and work it down a bit with my hands. That and watering is all I have to do to keep them growing well. I’m getting hungry for fresh homegrown strawberries right now. I needed to move the strawberries because my raspberries were spreading into the strawberries. They both really needed their own dedicated space and now they have it. Once the weeds are killed off by the covers in my garden beds I’ll add a layer of compost and they will be ready to plant. Growing flowers at our home is a challenge. My vegetable garden is situated in the only area of our yard that gets a good amount of sun. The rest of the yard is part sun to dense shade, so most of the plants I grow in our flower beds are shade-loving plants. We do have a rose garden just outside the vegetable garden fence and that is the only area we have for full sun for our flowers. My husband loves tending to the roses and that is mainly his area of the garden. We just finished trimming the roses to about knee height and gave them all a dose of Epsom salt. As well as spreading mushroom compost around them so they should be set for awhile. For the flower beds, in the past, I’ve put down mulch and newspaper to keep the weeds at bay for the growing season. I would love to put mulch down every year and help keep the ground moist but there is a problem with it. I do add a layer of mushroom compost at least around each plant but I don’t cover our beds with it because we have lots of rain and trees. We have 7 trees in our average city lot. Which means we are constantly picking up leaves and we use a leaf blower for the job. If you’ve ever tried to blow leaves out of mulch, you know the mulch goes everywhere. Raking them out isn’t much better. When we get a nice heavy rain, which happens often in the spring, the mulch washes out on the sidewalk or into the yard. It’s just a mess. Instead of adding mulch to keep the weeds down I just pull the weeds and put down a weed inhibitor. I do this a couple times of during the growing season. 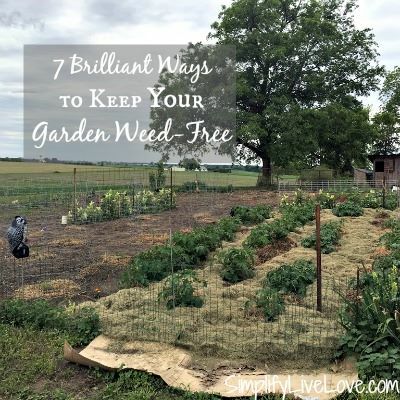 But laying down a layer of newspaper or cardboard and then covering with the mulch really is a nice weed deterrent if it will work for your garden. 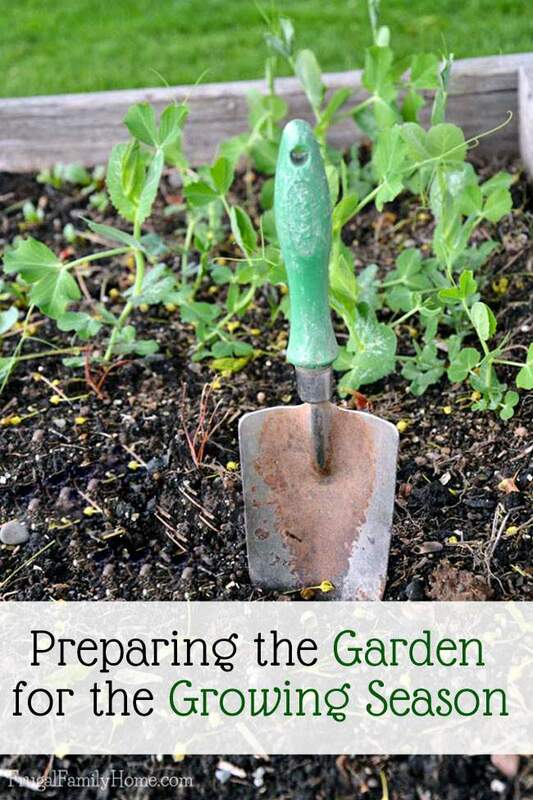 That’s a quick introduction to our garden and how I prepare both the vegetable garden and flower beds for the growing season. Be sure to visit the other Tuesdays in the Garden bloggers as they will be sharing tips for how they prepare their gardens and a little about themselves and their gardens too. 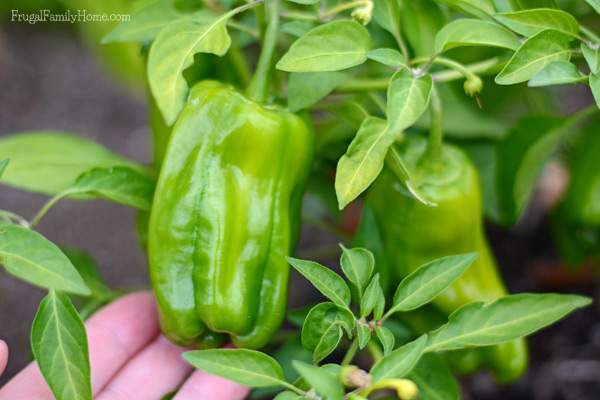 What tips do you have to share about preparing the garden for growing? I would love to have you share your tips in the comments below. Find more garden inspiration by following this link. I’m interested to see if your “clover eradication” system works this year! I have a heck of a time with clover around here. I think it flies in from the farm fields. Thanks for all your tips! I’m loving that you have so many of the same crops we have way up here almost to Canada! It’s fun when your husband gets involved too! Dave is our head garden master now. It used to be me. I’m so glad he’s taking on the garden. He is much better at it than the kids and I were. Love those raised beds too! My husband does so much better with the roses than I ever did. It’s good he enjoys it or else I’m afraid our roses wouldn’t look nearly as nice. Thanks Sandra! 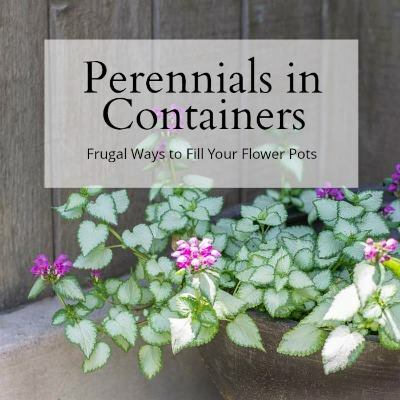 Are you still planning on growing a few things in containers this year? I hope you’ll share a vlog about it. I would love to see how your vegetables do. I’ve excited to hear how the plastic helps keep your weeds down, Shelly. I’ve never tried it either, but should! Happy gardening! I’m hoping it will help eliminate the clover, which was so bad last year. I absolutely love how you have four raised garden beds. I have one, but I’m eventually looking to expand over time. 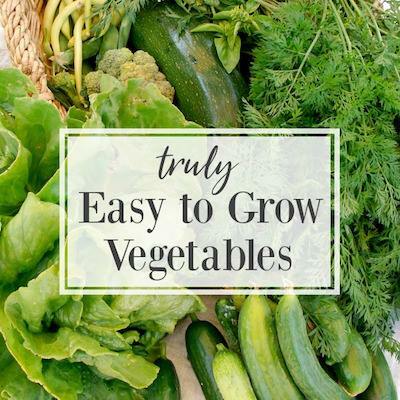 The variety of vegetables and berries you grow in your yard sounds wonderful. I can totally relate to your clover issues. Last year, I had trouble with the dreaded crabgrass. That covering method sounds like a really smart idea, and I’m hoping it works for you! 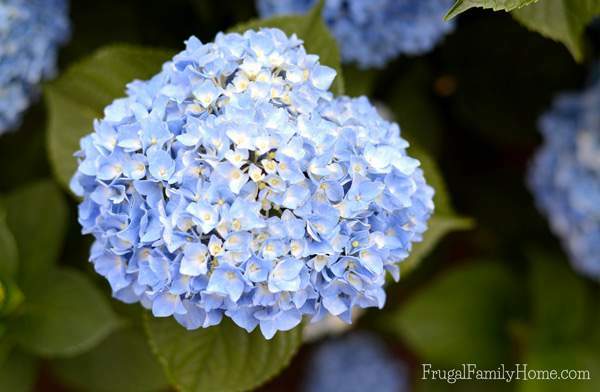 Your hydrangeas are stunning and the rose garden sounds gorgeous! Great tips! How I wish I could grow all the berries. Yum!! 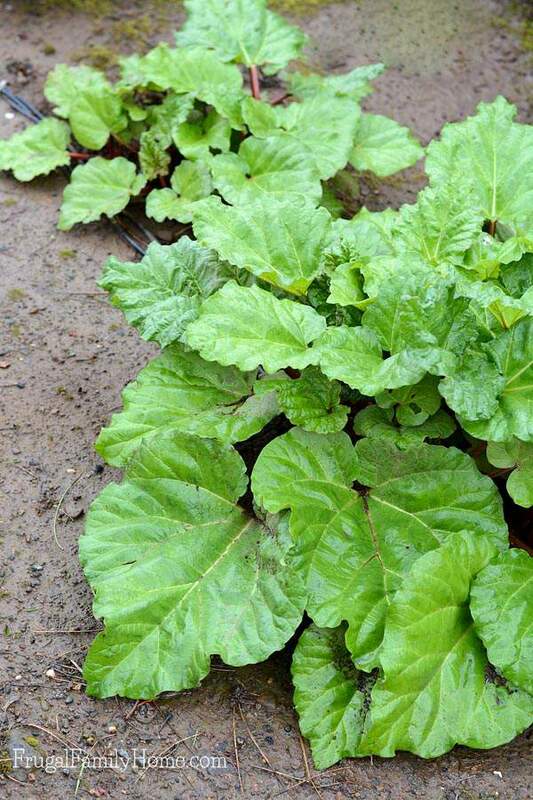 Smothering weeds is a good idea and we gardeners all know that weeds typically come with the territory. For me, I just try to keep them at bay. Cheers to a great gardening season. Patti, berries are so nice to have in the garden. I wish we had more space for them, but I’m happy to have what we have. It’s enough to eat and make jam with each year. I hope this is a great gardening season for you! I’m always so excited so get started in the garden. This Spring is a bit frustrating with the cold and wet. I’m looking to dividing and transplanting some things until we can plant again. I love your garden posts Shell! I hope it drys out soon for you Diane. I’m so happy to hear that the plastic-mulch combo has taken care of your weed problem, Shelly!! It has really helped, Jami. I tell everyone I know that gardens about it.